Planning a trip to the Dominican Republic? Looking for a vacation rental in Las Terrenas? 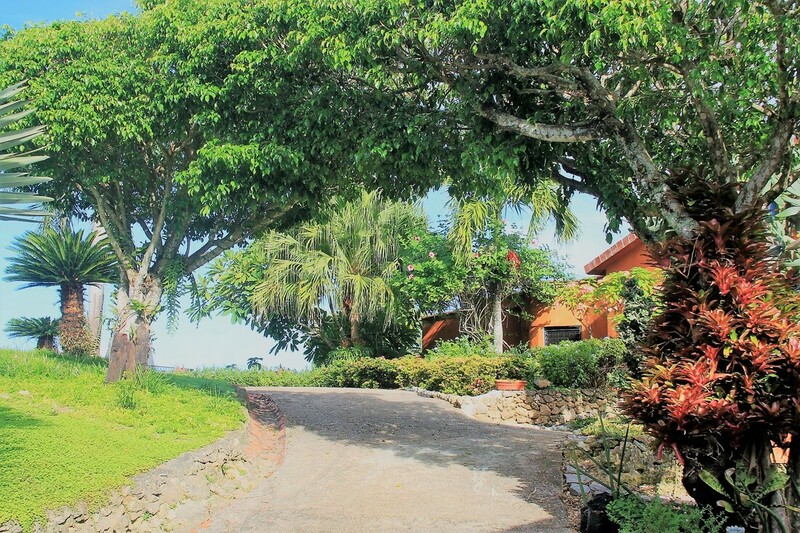 Monte Placido is the perfect vacation getaway to enjoy tranquility, relaxation and a gorgeous view of the ocean. At Monte Placido, we’ve thought of everything so you don’t have to. We can arrange for fishing with a local fisherman, hiking in the hills, excursion tours, kite surfing and Latin dancing lessons. If you’d rather, relax by the pool, rejuvenate with yoga or massage, and let someone else worry about the cooking, we’ll take care of those arrangements too. ​We have a fully equipped yoga studio "Shiva's Cave" on site.​ We will help you plan a yoga retreat! ​Monte Placido is a top a serene hill overlooking the picturesque countryside out to the sea. The surrounding area has innumerable pristine beaches. Drive down the little mountain and in five minutes you are at El Portillo beach sipping a Rum Punch from your ocean side lounge chair. Within fifteen minutes, you are in the center of Las Terrenas taking in the shopping, International cuisine and festive nightlife. Monte Placido is the perfect combination of a relaxing oasis and easy access to fun! Relax at our infinity pool. In the center of the gardens is Monte Placido's beautiful infinity pool. It gives the illusion of water cascading into the ocean. Our pool is perfect for cooling off and taking a swim. There is a nice shallow area ideal for children. Relax and sunbathe on the lounge chairs, prepare seafood on the Bar-B-Q, dine and enjoy good company at the poolside table. The pool area is open to all guests but can be reserved for a private party. Our gardens burst with color and over 250 tropical plants. 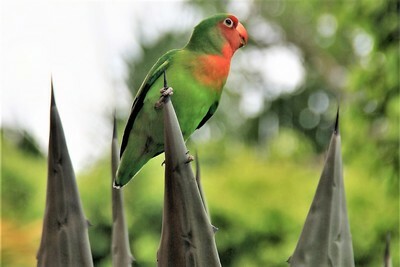 It is a bird watchers paradise! Monte Placido is a hill top refuge. It is private, peaceful, gated and safe. Select the perfect accommodations for your trip. Hit the "Home Rentals" button or if you are on mobile device view, find our drop down menu by hitting the icon of three horizontal lines in the top left hand corner of the page. Review the descriptions and pictures for each of our six villas. In our drop down menu you will also find: How to Request a Quote, Driving Directions, On Site Services, Answers to Frequently Asked Questions, Vehicle Rental Information, Taxi Rates, Bus and Ferry Schedules, Excursions, and more. 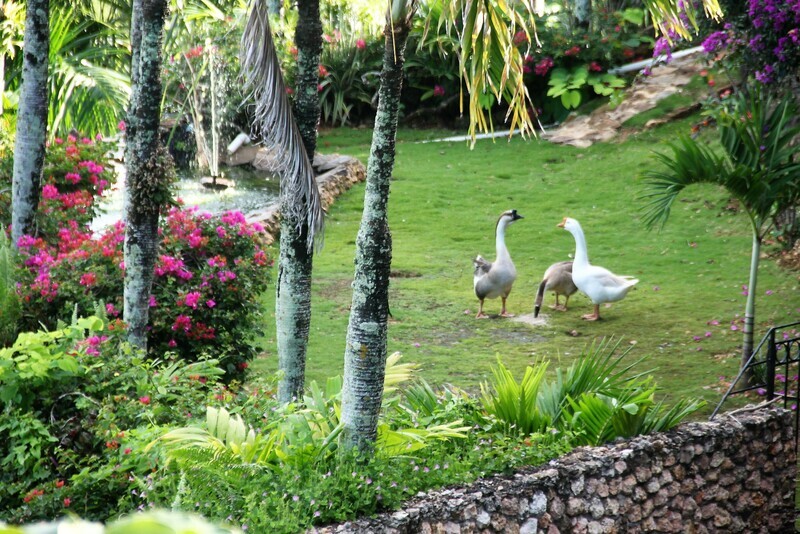 ​Monte Placido is centrally located to explore the one dozen interesting beaches along the coastline of Samana. The nearest beach is only five minutes away. Each beach. has a unique charm and personality, from lively Punta Poppy with many bars and restaurants, to the natural quiet beauty of Coson beach. It will be fun to discover your favorite beach! The yellow highlight indicates a beach area. As you can see, we are perfectly located for beach exploring!